VanCompare.com has teamed up with UK Broker ‘Business Insurance Solutions Ltdʼ (BIS), trading as ‘VanCompare Directʼ, to provide van insurance quotes from 20+ UK Commercial Vehicle Insurance Companies. BIS is one of the UK's leading Van Insurance brokers with over 50,000 van insurance customers. * If BIS are unable to assist with a quotation, we automatically refer you with quotes from our specialist partners. 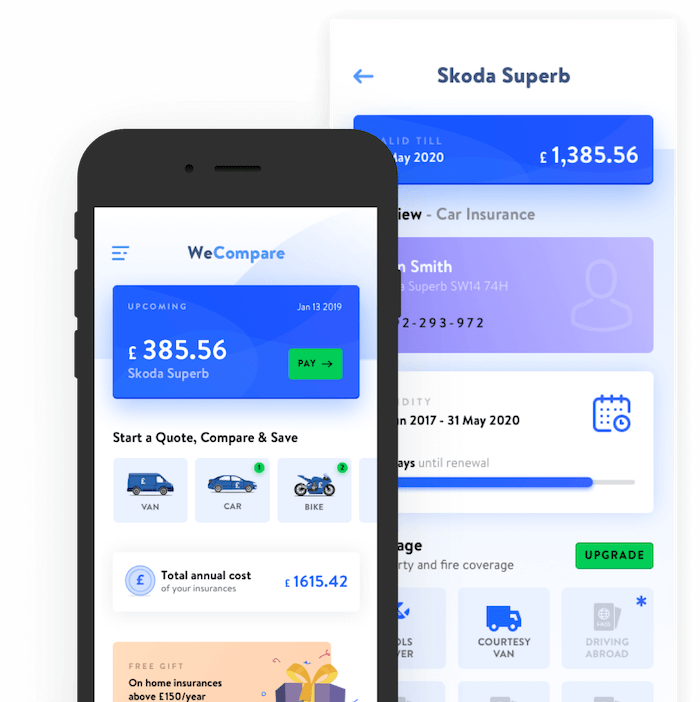 is a specialist product comparison site that gives you access to a panel of 20+ specialist insurers allowing you to compare a wide range of different options. We have teamed up with a panel of 20+ specialist broker and underwriter partners to ensure that you have access to the most comprehensive product offering possible. For your convenience, these prices will be automatically provided if BIS are unable to assist. VanCompare.com also works with a selected number of specialist partners who can provide quotes that are not available on-line. Transit Van insurance doesn’t have to be expensive. In fact, at Van Compare we are determined that you don’t pay more for your Ford Transit insurance than you need to. We scour the UK’s leading insurance providers to find you cheap van insurance quotes that fit your needs. Motoring in the UK is becoming increasingly expensive, but there is no need for the cost of insurance to become a burden. We compare Nissan Navara insurance quotes from a range of providers to find you cheap cover for your Navara Pick up. With Van Compare you are just a few clicks away from finding a fantastic deal on your Mercedes Sprinter van insurance. Running a van in the UK is an expensive process. There’s the ever increasing cost of fuel, high servicing costs, tax and then of course insurance. We try our best to make the last bit as cheap as possible. Running a van in the UK is an expensive process. There’s the ever increasing cost of fuel, high servicing costs, tax and then of course, insurance. We try our best to make the last bit as cheap as possible. Here at Van Compare, we do the hard work for you by comparing Renault van insurance quotes, bringing you some of the best quotes and offering excellent cover on your Renault Kangoo. Watch Our TV Adverts, Featuring the Chuckle Brothers & Andy Scott. 1. Why use us to get van insurance quotes? Cheap van insurance. We pass so much business to van insurance providers that they offer us great rates that the general public, and even other van insurance comparison sites, may struggle to match. A quick service. You don't want to spend hours trawling through directories and calling each and every van insurance firm, repeating the same answers. At Van Compare you fill in one quick form and we do all the legwork. Tailor made van insurance. You are unique and so is your business, so we find the van insurance quotes that suit your vehicle and your specific needs. Flexible payment terms. Each partner offers online payments and monthly instalment options are available, whatever you prefer. Consistently low van insurance quotes. We check market prices on a daily basis, via our unique van insurance comparison system, which links up with all leading UK van insurance companies. Simply complete the easy online van insurance quote form to gain a choice of competitive prices, policies and benefits from a wide range of van insurance schemes. If you prefer to compare van insurance in person then call our UK based team of specialists for assistance. In many circumstances we are able to beat our online van insurance quotes by asking just a few additional questions. Struggling to find cheap van insurance quotes? Then use Van Compare, the UK van insurance comparison site. Simply complete our quick quote form now. The world of van insurance can be a minefield of jargon and even the smallest change to a policy can sometimes make quite a difference on the van insurance quotes you receive. Here's a brief guide into how it all works and some tips to help you get cheap van insurance quotes and to make sure you end up with the right cover. In the UK, van insurance is a legal requirement if you are to drive a van on the roads. A van insurance policy allows you to drive your van, provided it is under 3.5 tonnes. There are three levels of van insurance cover available for you to choose from, so when comparing van insurance quotes, make sure they are on a like for like basis. Third Party Only van insurance: The most basic type of van insurance is Third-Party Only and it covers your liability for bodily injury or death to others and their property. Third Party Fire and Theft: This includes the above third party risks, as well as risk of fire damage and theft of your vehicle. Select van insurance providers will also cover the contents of your van and items such as the CD player. Comprehensive cover: Inclusive of Third Party Fire and Theft cover, comprehensive van insurance policies also cover the loss of, or damage to, your vehicle caused by an accident or vandalism. Some van insurance companies will include personal accident benefit within their comprehensive cover, should you be injured or die in an accident. Please note that the specific cover will depend on the insurance company chosen and the policy taken out. We will advise you on policy limitations when you ask us to compare van insurance on your behalf. Van insurance companies classify vehicles into groups. You have probably heard of the 20 group rating scheme that car insurance is subject to, and van insurance is really no different. Insurers rate each van with a number, usually between 1 and 20, with regard to how much of a risk they believe it is. If your van is in a higher group then it is considered quite risky so will be more expensive to insure, whereas owners of lower group vans will enjoy cheap van insurance. The groups are chosen after examining the historical accident rate with that type of van, as well as the likely cost of repairing it following an accident. Usually, the larger and heavier the van, the more it is thought to be harder to drive and expensive to repair, so van insurance quotes will likely be higher for a large van. The majority of van insurance companies use five categories within which they place vans as the starting point for calculating the insurance group. Car-derived vans: These are vans that look like common cars and drive just like them, though the back windows are filled in with metal instead of glass and the rear seats have been replaced with a flat area to carry loads. The Vauxhall Astravan and the Ford Fiesta van are examples of car-derived vans. Micro vans: The smallest type of van that isn't derived from a car, micro vans are generally used to carry small deliveries. The Citroen Nemo and Peugeot Blipper are counted as micro vans. Small/light vans: Whilst from the front these vans look similar to a car, the rear will often have hinged double doors and a raised roof. A common small van is the Volkswagen Caddy. Medium/panel vans: Panel vans are popular due to their easily accessible doors and large load capacity. The Ford Transit and Mercedes Sprinter are common panel vans. Large vans: Capable of carrying very large loads, these vans will often have a double-axle at the back supporting four rear wheels. The Luton van, often used by independent removals firms, is a typical large van. There are factors other than size which dictate the price of van insurance quotes, including the size of the engine and whether it is petrol or diesel, whether the van is manual or automatic and the level of security system installed. If you do not already own a van then choose one that best suits your needs, as you could find it brings in far cheaper van insurance quotes. If you only plan on using your van for small deliveries then you should probably go for the smallest van that will do the job. Look at a variety of makes and models. Often vans from very similar manufacturers will bring in quite different van insurance quotes, so look at a few to find out which would bring you the lowest premium. Think about security. More security features will mean cheap van insurance is more likely. Choosing a van with strong locks, an alarm and immobiliser is a good start. Also, by parking in a garage or on a driveway overnight, van insurance will often cost less than if you leave the vehicle on the public roads. Look at the cover and what you do not need. If you only ever use your van for local journeys then a policy with EU cover probably isn't going to be cost effective, so stick to UK van insurance cover. Van insurance quotes often include a replacement vehicle service but if you have a spare van or car and do not need one then mention this when you compare van insurance quotes as it should lower the cost. Still have questions regarding van insurance quotes and how to find the right cheap van insurance? Then call our dedicated UK team now. *This offer excludes telephone quotations and inaccurate guideline prices – full web quotes only due to the web based nature of vancompare.com. This offer excludes the Channel Islands and non-permanent UK residents. We reserve the right to request proof of the third party quotation to validate the price you may have received.